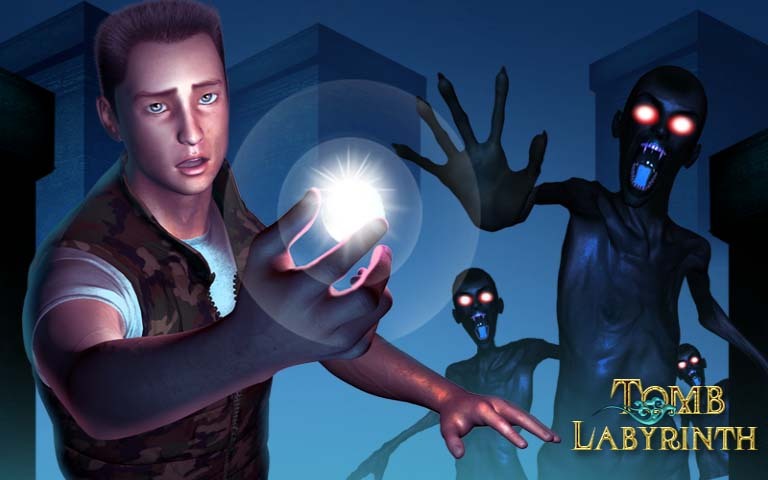 Tomb Labyrinth - is a horror thriller adventure game, and you can also enjpy the special fun of puzzle game. In this ancient tomb, you must operate our unarmed and amnesiac hero to fight his way in the mystery grave, full of traps and monsters. And during the adventure, you also need to unravel the secrets of the graves, using your wisdom and courage and escaping from different level, finally survive the way. 1. Grave with oriental features, creating a unique atmosphere of terror. 2. A variety of traps, players need careful analysis and thoughts to pass the levels successfully. 3. Different tomb monsters, players need to be careful and take use of the terrain to avoid danger successfully. 4. In addition to the courage and wisdom, the players must maximize their patience and vision, each level of the compact design requires you to use all of the reaction and the brain cells. 5. The fascinating story, players will unlock the secrets of tomb during the game. Tomb Labyrinth: install APK and play the game.